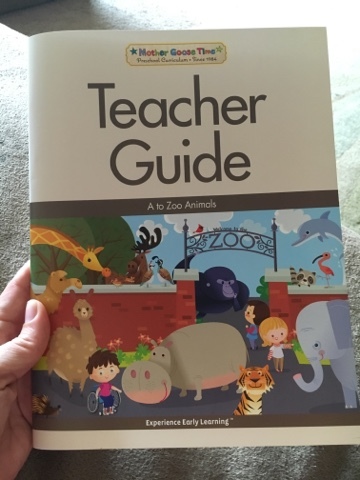 Tiny Toes in SoCal Sand: A to Zoo Animals Begins! 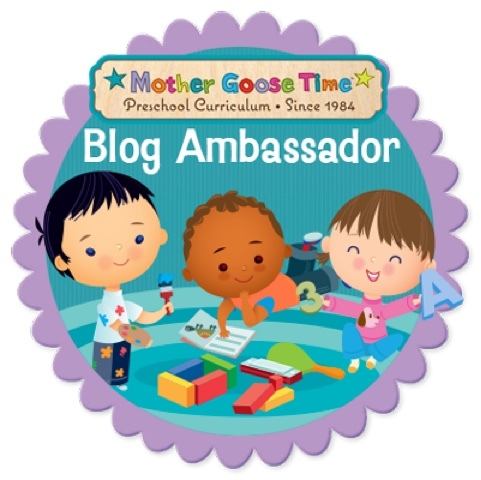 When the adorable yellow Mother Goose Time box arrived this month, Tiny B and Strong B were extra excited because they couldn't wait to study their favorite subject: Animals. 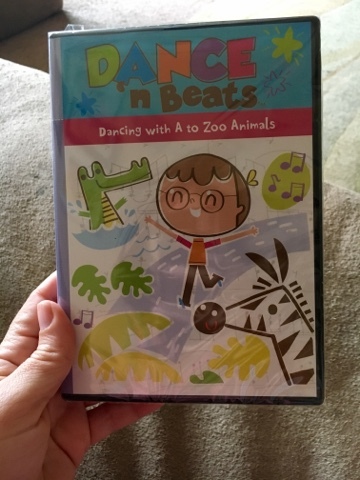 I wasn't quite ready to start the unit on the day that this arrived, so I did what I always do, which is give them the Circle Time CD to introduce them to this month's concepts and songs. I couldn't help but smile really big when I saw the picture on the CD case! Do you see that child in a wheelchair? Do you know just how much this warms this special needs mom's heart? We've seen a child in a wheelchair several times this year in MGT's curriculum, and it's always an opportunity to talk about why people might be in wheelchairs. This is a type of dialogue that is important for the children. I always welcomed it when parents would see me tube-feeding Tiny B and ask me questions, rather than just stare. The more we talk about it, the more we understand that everyone is different, and that we need to embrace these differences. 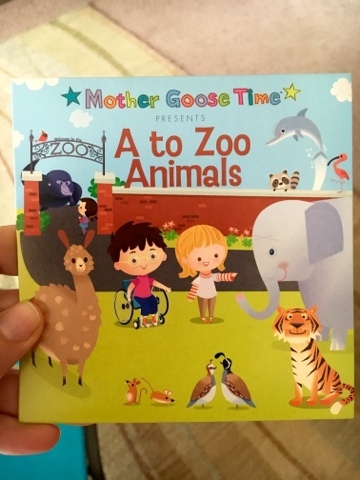 The CD is very special this month because there is a song for every letter in the alphabet! 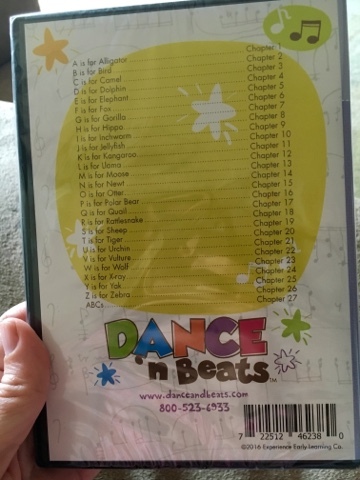 We just started the unit and I've heard the CD approximately 1,492 times from their sweet little CD player in their bedroom. It's adorable to hear their sweet little voices. Na na na na newt. Such a cute newt. 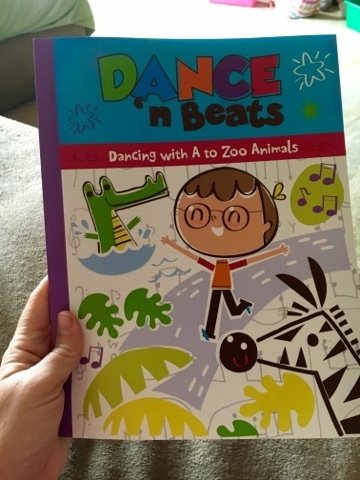 Dance n' Beats also was extra special this month with a song and dance for every letter. The three of us sat and picked out which animals we wanted to focus on this month. Each day is a letter and an animal and I know that we have a lot of summer activities this month, so we need to choose so that we can enjoy and not get overwhelmed. 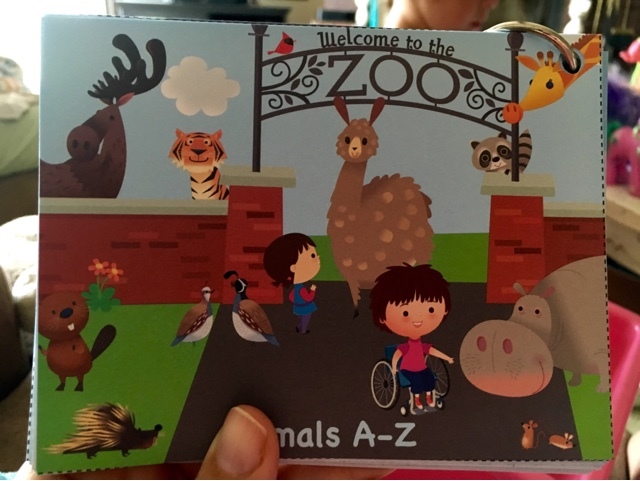 I am supposed to take out a new letter and animal card with every lesson, but another blogger suggested putting the booklet together and going on a scavenger hunt for the animals at the zoo, so that's our plan! I want to end with this picture that touches my heart. 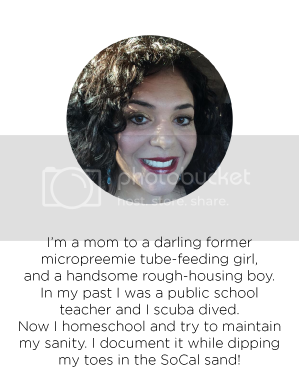 The home medical company that delivers our formula and feeding tube extensions every month picked up our feeding pump, because we have no use for it anymore. We have the IV pole from a previous company and I've been looking to give it away, but it turns out that Tiny B still wants to use it. We placed a feeding tube in her dolly and she's been playing with her old extensions. In this picture you can see her dolly hooked up to the feeding tube extension and IV pole. I thought we were done with these things, but I guess not. I think it's the sweetest thing that she wants to continue to play with the stuff. It's a good memory for her. That makes my heart happy. 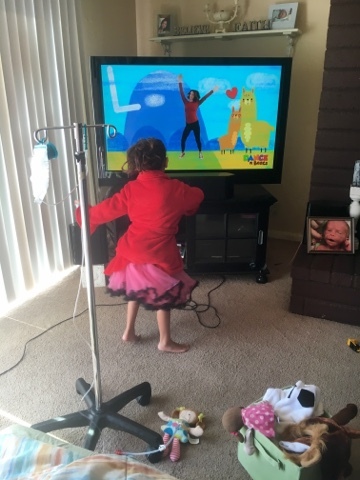 And of course her dancing in her tutu/robe to Dance n' Beats makes my heart happy too.